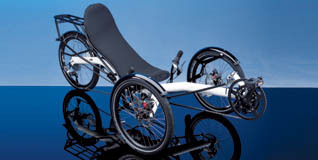 Recumbent Trikes are a big surprise for most people. Once you've ridden one, it is very hard not to add one to your cycling palate. 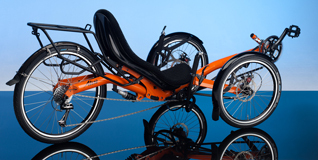 Challenge Trikes are of the "tadpole" genre, meaning two wheels out front, one in back. They are fun, feeling like a human powered sports car! With no balancing required, you feel secure in all types of terrain and circumstances, including Winter commuting. Need to take a break, or look out over some great vista's? You can do that, or visit with your riding companion from your comfortable recumbent seat, then move on when you're ready to go again. 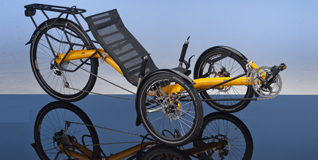 Challenge Trikes have the beautiful frame designs that say "Challenge", plus some innovations not found elsewhere including the "wings" out front that make it the easiest tadpole trike to step in and out of. 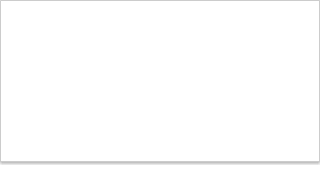 AVERAGE WEIGHT 26 cm / 10,2"